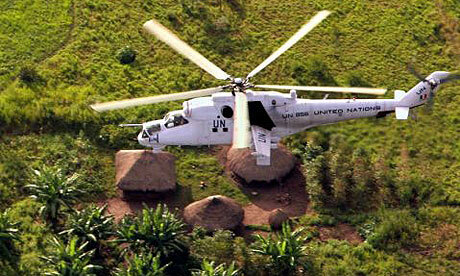 US troops to Uganda & Kony off to Darfur? It is important to view the Obama administration’s decision with some scepticism. In twenty-five years, the government of Uganda, at times with regional support from neighbouring states, has failed to defeat the LRA. Locating Kony, who has been remarkably adept at avoiding death or capture, has not and will not be an easy task in a region of Africa which has been devastated by violent political conflict, has minimal infrastructure and large swaths of which can accurately be described as lawless. The idea that all it takes is 100 US soldiers to defeat the LRA and the “crazy”, “mystical” and “bizarre” Kony is a fallacy – and a dangerous one at that. Some of these difficulties have been captured by astute commentators. But what has yet to be adequately considered are the regional dimensions of the decision by the US to intervene. It may be that this renewed military impetus to fight the LRA and “remove Kony from the battlefield” will export the LRA to areas where US troops won’t be allowed access. There is enough evidence to suggest that Darfur could be one such area. While orthodox descriptions of the war in Uganda often paint the conflict as an intra-state war between the government of Uganda and the LRA, any assertion of the war being constrained within the territorial boundaries of Uganda could not be farther from the truth. Tellingly, in the first ever prosecution against a LRA commander, the Ugandan government charged Thomas Kwoyelo with breaches of the Geneva Conventions, charges which require that the breaches were conducted in the context of an international armed conflict. The relationship between the LRA and the Government of Sudan goes back, at the very least, to 1994. Since then, Khartoum has employed the LRA to act as a proxy in its civil war against Sudan People’s Liberation Army (SPLA) in South Sudan. 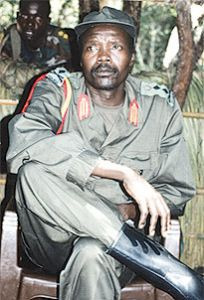 LRA rebels were often protected, provided with weaponry, and supported economically by Khartoum. The cosy relationship between Kony and Khartoum can accurately be described as an “open secret” in the region – everyone knows it but there is little official acknowledgement of the fact. In an illustrative example recounted to the author, a rebel commander, ordered to destroy a radio tower with newly acquired bombs in Gulu, northern Uganda, was told that he must both fulfil his mission and retrieve any remnants of the bombs used. Those bombs were provided by the government of Sudan. It is widely believed that Sudan ceased its support for the LRA in the mid-2000s. This is often ascribed to pressure from the international community and a desire not to be associated with Kony, against whom the International Criminal Court (ICC) issued an arrest warrant. However, last year, evidence emerged that Kony may have been hiding in Darfur, once again acting at the behest of Khartoum. This was corroborated to the author by former senior LRA commanders in northern Uganda. Since 2006, when the Juba peace talks to end the conflict between the government of Uganda and the LRA began, the LRA has not had much, if any, presence in northern Uganda. Indeed, most northern Ugandans will tell you that there is peace in the area, often described as “a silencing of the guns.” But this sense of peace belies the reality that the conflict in northern Uganda has been “exported” to neighbouring states, particularly the DRC, South Sudan and CAR. LRA attacks on and abductions of civilians in these states have been an all too regular occurrence. Assuming that the LRA can be defeated militarily, success will require a regional approach. To date, South Sudan, the DRC and CAR, in addition to Uganda, have reacted positively to the American deployment of troops. Khartoum, however, remains quiet and it would seem unlikely that the regime of Omar al-Bashir has any interest in welcoming US troops onto its soil – especially in Darfur. However, rather than resolving the conflict, the regional engagement that is currently in the works, supported by the US troops, risks squeezing the LRA into areas where it believes its security can be guaranteed. 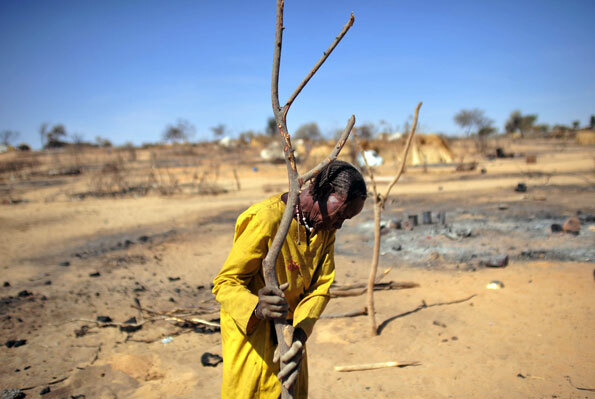 Given the patterns of LRA engagement, Darfur would appear to be the obvious choice. It is entirely feasible that Kony and the LRA could be provided with a safe haven by Khartoum in return for engagement in the conflict which continues in Darfur. Relocating atrocity: off to Darfur? This entry was posted in Darfur, International Criminal Court (ICC), Lord's Resistance Army (LRA), Peace Processes, Sudan, Uganda. Bookmark the permalink. 2 Responses to US troops to Uganda & Kony off to Darfur?